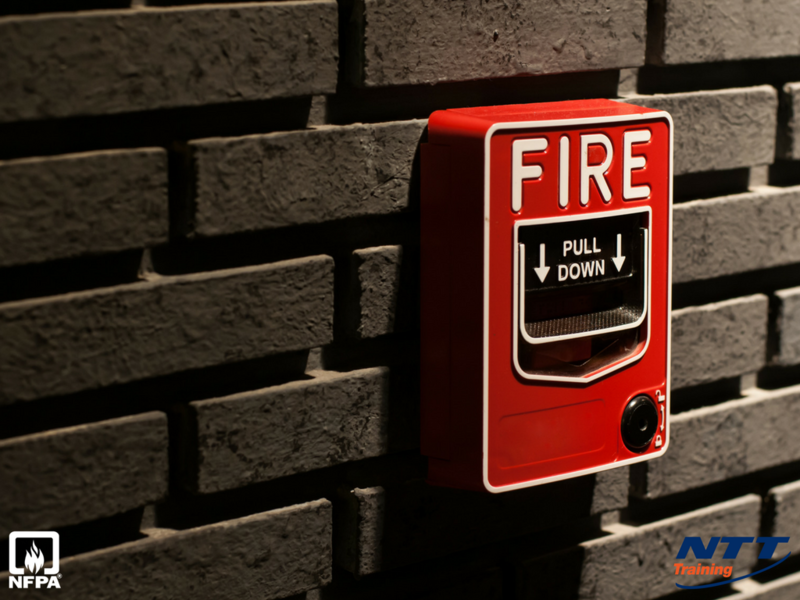 NFPA 72 Fire Alarm Requirements: What Does My Business Need? NTT Inc. - NFPA 72 Fire Alarm Requirements: What Does My Business Need? You might be familiar with the NFPA 72 Fire Alarm Code, but do you realize how important it is in your business? Industrial work can’t be considered safe if fire alarms aren’t functioning properly. It’s important to not only be familiar with the NFPA 72, but also to help implement it in your place of business and make sure standards are always kept up. The National Fire Protection Association publishes hundreds of standards and codes designed to reduce the risk and minimize the effects of fire and other hazards. The National Fire Alarm and Signaling Code is known as NFPA 72. Updated in 2016, the code sets out the most recent provisions for fire detection, signaling, and emergency communications. In addition to fire alarm systems, the code covers requirements for mass notification systems in the event of other threats such as terrorist events, weather emergencies and nuclear, chemical and biological incidents. Anyone who maintains or manages fire alarm systems needs to know how to remain compliant with the 2016 version of NFPA 72. The most common safety violations relating to the code are missing or damaged smoke detectors, skipping fire alarm inspections, and not keeping proper records. Operating under an old version of the code can also land you in hot water when the inspector comes calling. Violations of NFPA 72 can attract fines. If you employ people who are responsible for complying with NFPA 72, the best way to make sure they are working with the current code requirements is to get them trained and certified. An easy way to do this is to send them on a course and then have them take the NICET Certification exam. Certifying your employees ensures your staff is up to date. It also generates a document that helps meet that pesky recordkeeping requirement. Volunteer technical experts with knowledge and experience in their respective fields establish requirements for the National Institute for Certification in Engineering Technologies exams. There are two levels of NICET certification for NFPA 72. Level I is for trainees and entry-level technicians, and Level II is aimed at technicians who perform routine tasks under daily supervision. A practical, hands-on course will teach participants the basics of the 2016 update of NFPA 72. The material explains the codes that require detection and alarm systems for fires, as well as what other codes apply to those systems. Students will be introduced to the designs of typical systems, their capabilities and their limitations. They will gain experience at operating automatic fire detectors and at troubleshooting them when they don’t perform as expected. At NTT Training, we deliver comprehensive, practical, skills-based training and hands-on seminars to help companies like yours keep your workers certified and up to date. We bring our instructors and equipment to you, saving you money on staff travel and accommodation and avoiding unnecessary employee downtime. We are the only provider that brings full-sized, hands-on equipment. Our comprehensive approach integrates instructor-led teaching with training management services, computer-based training, consulting on workplace safety practices and electrical qualification training. For more information about how we can help you train and certify your workforce, improve compliance with regulations, reduce workplace accidents and increase productivity, connect with one of our team members today.